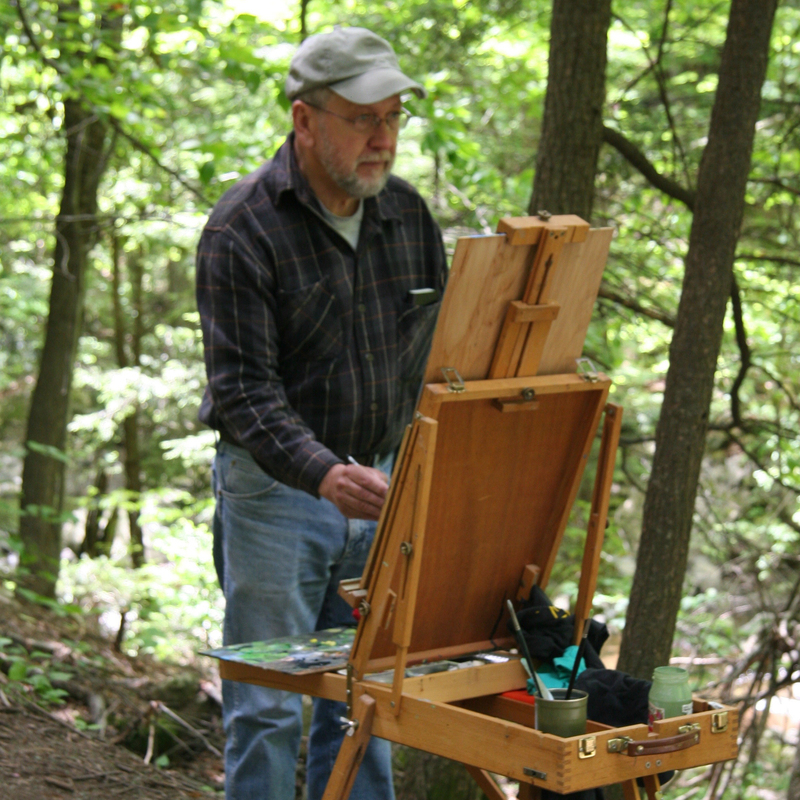 Richard Kathmann is a plein air painter working in the Catskills, New Mexico, and the shores of MA and ME. He trained at the University of Chicago, Pratt Institute, and The School of the Art Institute of Chicago. Kathmann has received The Woodstock School of Art Award at The Woodstock School of Art. His landscape drawings and paintings have been exhibited at The Hyde Collection (Glens Falls) and The Albany Institute of History and Art. In June 2012 he took part in the renowned painting marathon, “Arbor Vitae,” at Old Westbury Garden, presented by the New York Studio School of Drawing, Painting, and Sculpture. Kathmann currently lives and works in East Meredith, NY (the northeast Catskills) where he grew up.